Nestled in the heart of the Smoky Mountains of Appalachia, Washington County, Tennessee offers a unique setting to live, work, and play. Washington County is the oldest County in Tennessee. Johnson City, Gray, Jonesborough, Limestone, and Telford are all located in Washington County. We need to preserve what makes us unique while embracing the possibilities of our shared future. We need to invest in our homegrown resources and human talent so that we can continue to contribute to the betterment of our state and the betterment of our nation. ** The Washington County Commission district lines have been redrawn. Starting in 2018 will be 15 county commission districts with one commissioner per district. ** Johnson City Commissioners elect amongst themselves who will serve as the Mayor and Vice Mayor of Johnson City from those elected to the Johnson City Commission. We need our elected officials to represent all of us, to represent all of their constituents. Despite our best efforts to hold them accountable, our phone calls, letters, emails, and questions and Town Hall events seem to continue to fall on deaf ears. Therefore, we need candidates who will be responsive to the needs of Washington County, Tennessee. We need candidates who will be responsible servants while in office while focusing on what makes Washington County, Tennessee a great place to live, work, and play! We need YOU to run for office!! District 1: Please contact wctndp@gmail.com if you are interested in running for this seat. District 2: Please contact wctndp@gmail.com if you are interested in running for this seat. District 3: Please contact wctndp@gmail.com if you are interested in running for this seat. District 4: Please contact wctndp@gmail.com if you are interested in running for this seat. District 5: Please contact wctndp@gmail.com if you are interested in running for this seat. District 6: Please contact wctndp@gmail.com if you are interested in running for this seat. District 7: Please contact wctndp@gmail.com if you are interested in running for this seat. District 8: Please contact wctndp@gmail.com if you are interested in running for this seat. District 10: Please contact wctndp@gmail.com if you are interested in running for this seat. District 12: Please contact wctndp@gmail.com if you are interested in running for this seat. District 13: Please contact wctndp@gmail.com if you are interested in running for this seat. District 14: Please contact wctndp@gmail.com if you are interested in running for this seat. District 15: Please contact wctndp@gmail.com if you are interested in running for this seat. ** Filing Deadline for Washington County Commission: February 15, 2018 by noon. 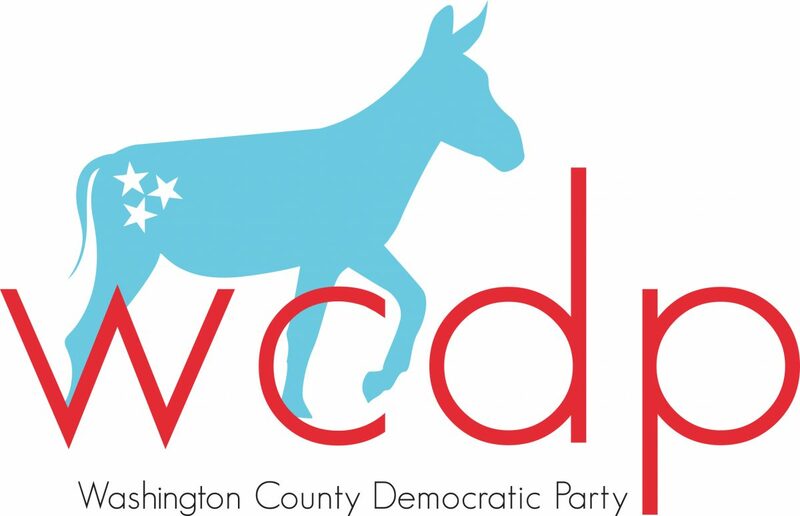 Washington County School Board: Please contact wctndp@gmail.com if you are interested in running for this seat. ** Filing Deadline for Washington County School Board: April 5, 2018 by noon. Jonesborough Mayor: Please contact wctndp@gmail.com if you are interested in running for this seat. ** Filing Deadline for Jonesborough Mayor: February 15, 2018 by noon. Jonesborough Alderman: Please contact wctndp@gmail.com if you are interested in running for this seat. ** Only 2 Alderman seats are up for election in 2018. ** Jonesborough Alderman candidates can pick up papers on May 18, 2018. Filing deadline is August 16, 2018 by noon. Johnson City Commission: Please contact wctndp@gmail.com if you are interested in running for this seat. ** Only 2 Commissioner seats are up for election this year. ** Johnson City Commission candidates can pick up papers on May 18, 2018. Filing deadline is August 16, 2018 by noon. Please contact wctndp@gmail.com if you are interested in running for this seat. ** Johnson City School Board Candidates can pick up their papers on May 18, 2018. Filing deadline is August 16, 2018 by noon.